This one is a keeper for sure! 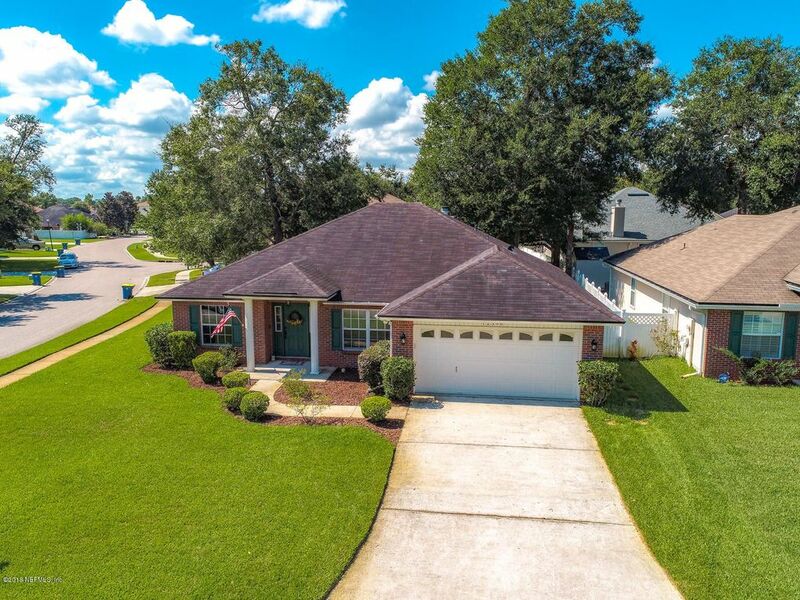 Move-in ready corner lot home situated in sought after community of Ashley Woods w/lots of tree lined streets and centrally located to shopping, retail, beaches and NS Mayport. Nice tiled foyer separates formal living & dining areas, which you could use one for a home office space if desired. Large fully equipped kitchen w/food prep island & breakfast nook overlooks family room w/wood burning fireplace! Engineered wood flooring, upgraded tiling & wall to wall carpet throughout! Master bedroom has walk-in closet & en suite bathroom w/sep shower & garden tub along w/double sinks. Back yard has covered lanai & fully fenced. The home comes w/ transferable termite bond, 1 yr home warranty, 2-10 $540; sprinkler sys w/well & pump, sec sys, indoor laundry rm, HVAC-2015. Master bedroom rods/curtains do not convey with sale. Directions: From Atlantic Blvd, head north on Kernan Blvd, T/R on Ashley Melisse Dr, t/l on Soaring Flight Way, t/l on Wavyleaf Ct, house on corner of Wavyleaf Ct and Soaring Flight Way.